While many were surely excited to see new challenges to complete, the biggest news of all came at the end of the announcement post when Epic Games announced new competitive series that will come with the event. When that v7.40 update releases, players will also be given access to new Overtime Challenges that can be completed to unlock 5 new rewards such as the Valentine Wrap and Vines Contrail. Players can unlock the Support-a-Creator Reward by supporting a Creator or entering a Creator Code between February 8 and 22. "Don't worry, we're keeping track", say Epic. Finally, the event will also showcase a rotating set of featured islands, celebrating the games community creators. Every. Single. Day. The Featured Island Frenzy will start on February 12 and end on February 22. The game's Creative mode - which lets players construct their own maps and challenges to share with friends - have proved popular since its release, and Epic is giving fans the chance to share the love with the favourite creators too. Placement matches will be available on February 9 and 10, and the best performing players will be put directly into the higher divisions. Competition will be split across four separate divisions which will run simultaneously each day in the following format. Access to the next division up is unlocked by earning a pin during any daily session. If you progress to that last tier and earn a pin, you'll get a spot in the finals on February 23 and 24. 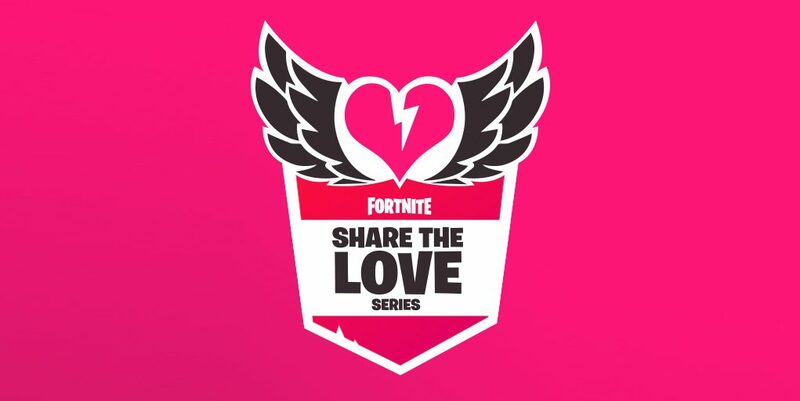 The #ShareTheLove event ends on February 27, right before the arrival of Season 8.